By: Teri Reisser M.S., Paul C. Reisser M.D. More than 1 million women in America have abortions each year. Unfortunately, rarely do these women have the chance to face and work through the deep emotional wounds that remain. 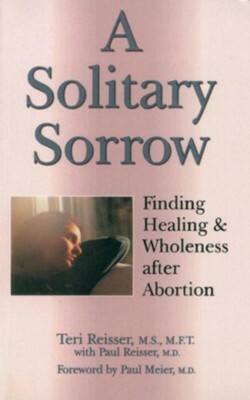 In A Solitary Sorrow, the authors address women's intensely personal struggles and help them find reconciliation, hope and healing after an abortion. The paperback is also complete with personal stories and a list of other helpful resources. 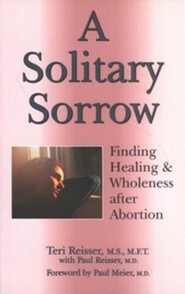 This impressive book is written by a family therapist and a physician who have counseled hundreds of post-abortive women. Honest, accurate, and practical, it offers hope and encouragement to women seeking healing after abortion. 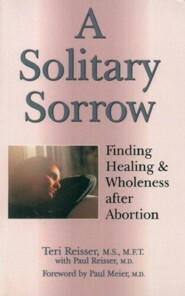 A must for post-abortive women, their friends and family, pregnancy center counselors and other who seek to help. I'm the author/artist and I want to review A Solitary Sorrow - eBook.